This is a further interpretation of the "Pilen" which I believe Philip Tescher originally designed. 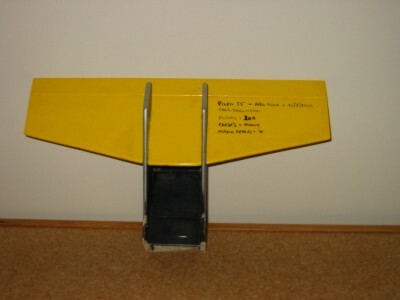 Balsa Electric Flying wing in the shape of a Zagi. This is to be used as a Beach Aircraft. Really early in the design phase I am just getting my thoughts together on this and trying to find informaiton. 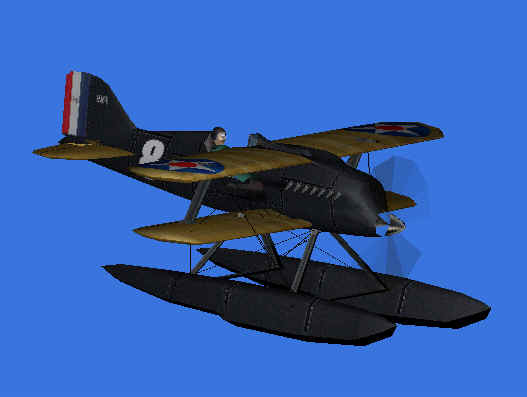 A great little aeroplane, that I mainly use at the beach. An interpretation of Adrian Page's wonderful little joy. 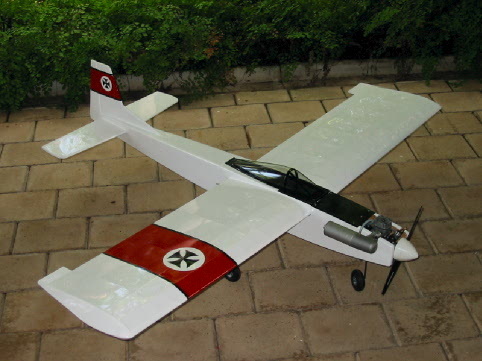 After totaling my Easy Sport 40, I found that the wing was repairable, even if it was going to be about 100mm shorter in wing span than it was originally. I thought about what I wanted to do with it, and this is what came out. 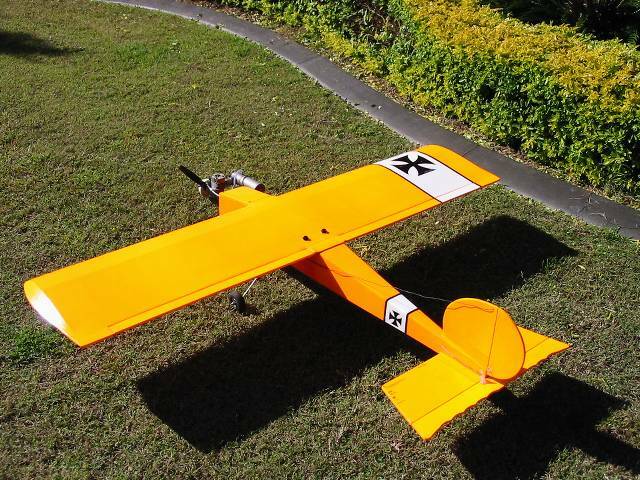 This was my Easy Sport 40, it is powered by a Super Tigre 40 and guided by a Hitec System X 5 ch. Radio. All that is left is the tail, however the wing was recovered and became the wing for my new Stunt Stik.